﻿Interested in donating to Octoberama? Please choose one or more donation options below, or ﻿fill in your own number here. NOTE: When filling in your own number, please include any relevant information in the notes. * Deadline for sponsorship recognition on banner is October 9th. ​* All families who sponsor will be thanked and featured in the Octoberama Times and November Mathews Messenger making you an instant celebrity. 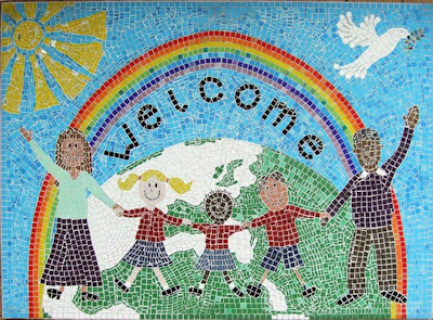 Sponsor $25 and submit any photo of your child to be included in a huge picture mosaic. Bragging rights and your child’s happiness while walking in the hallway are just a bonus. Sponsor $50 submit any photo of your child for the mosaic photo AND sponsor a family to join us at Octoberama. Bragging rights, your child skipping with glee in the hallway, and supporting another family are your bonus points. This gift could purchase a set of Bluebonnet books for a grade level, or bring a favorite children’s author to read in the library. This gift could replace an overhead projector with an Innovation Station in a classroom.